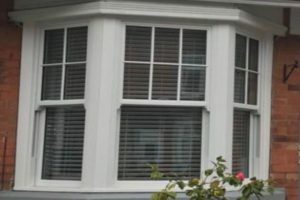 Why Choose Select Home for Bay & Bow Windows? We offer a complete range of bay and bow windows in casement, flush sash and vertical sliding sash. 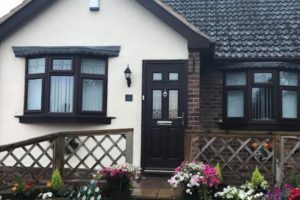 As with all of our range of energy saving windows and doors we can offer bays and bow windows in a range of foils and colours to compliment the look and character of your home. Bay and Bow windows allow more light into your home and can give an impression of more space. They offer the same security, draught-proofing and energy efficiency as all of our products do. 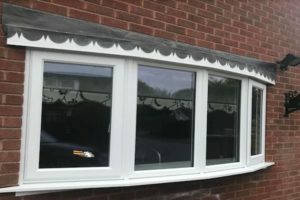 We can expertly convert a flat window into a bow and offer a full installation service including leading the new canopy and plastering the new bow window ceiling. 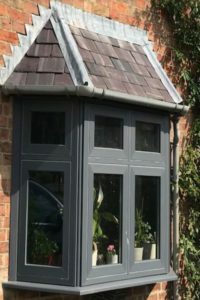 Bay or Bow Windows – Which is which? 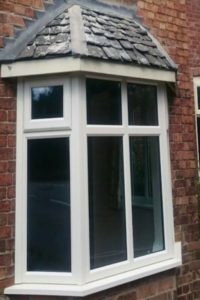 If there is brickwork which follows the shape of the window frames, then this is considered to be a bay window. If the window frames have no shaped brickwork underneath, then these are generally known as bow windows. Whatever type of windows you have in your home, we at Select Home are skilled and trained in the installation of all types and styles of windows. If you’d like to get friendly, honest and professional advice on improving your Bays or Bows (you decide what they are!) just give us a call or drop us a line.